Linda has a B.A. in education, holds two teaching certificates and has and M. Ed. in Human Services and Counseling. 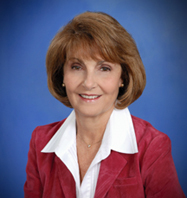 Linda became a Certified Professional Coach in 2004 and is also a Trained Mediator. As a Divorce Coach, she assists men and women in transitions, before, during and after divorce. Linda helps her clients set realistic expectations and make wise decisions that can save time, money and lessen the emotional upheaval. Clients who maintain a calm and focused sense of direction can reduce some of the stress and anxiety during the challenging times. Prior to the creation of The Oasis Experience, Inc.® and divorce coaching, Linda served as Director of Education for a social service agency. In that position, she developed sexuality education programs for the prevention of teen pregnancy. During her 13 years as Director of Education, Linda spoke to over 50,000 Jr. High and High School students, as well as faculty and parents. Linda was divorced after a 23 year marriage and she is the mother of two wonderful adult children and grandmother of three amazing little people! Although her professional credentials speak of her expertise in education, counseling and coaching, her personal experience with divorce puts her clients at ease and generates confidence. They know she isn't only "talking the talk, but has walked the walk"